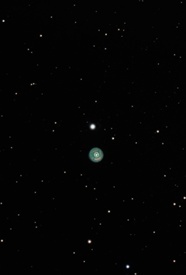 Eskimo nebula taken with LX200ACF 16" telescope and SBIG ST-8XME camera, 26. March-2011. LRGB astronomik filters used. Exposure time Lum=34,5min. in total and mixed subs of 30, 60 and 120sec. bin1,1 plus R,G,B exposure subs 5,4,4*60sec bin2,2.